My assignment this month is Lauren from Sew You Think You Can Cook. 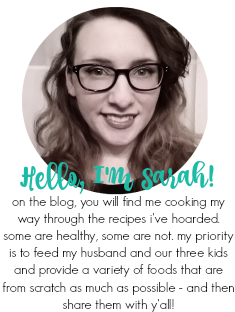 Lauren is an air force wife, mom, and aerospace engineer. Quite impressive, right?! She does aspire to be a caterer - since she loves to cook. Lauren has a ton of great recipes on her blog (plus she also shares some of her other hobbies, like quilting and holiday decorating/hosting), so I took to searching immediately! I found some very tasty looking treats, like Pineapple Macadamia Nut Bundt Cake, Strawberry Pomegranate Smoothie, Chile con Queso, Caprese Steak, and Spinach Salad with Spicy Pineapple Dressing. The last few weeks of my pregnancy gave way to an insatiable fruit craving. It's all I wanted. And it's sort of lasted past giving birth. I'm also craving the crap out of some steak. So my finds were fruit heavy and then there's the steak recipe :) I ended up going back and forth between two breakfast recipes featuring cranberries because I have been obsessed with them since Thanksgiving timeframe. So I was down to Cranberry Cinnamon Rolls and Cranberry Coffeecake. 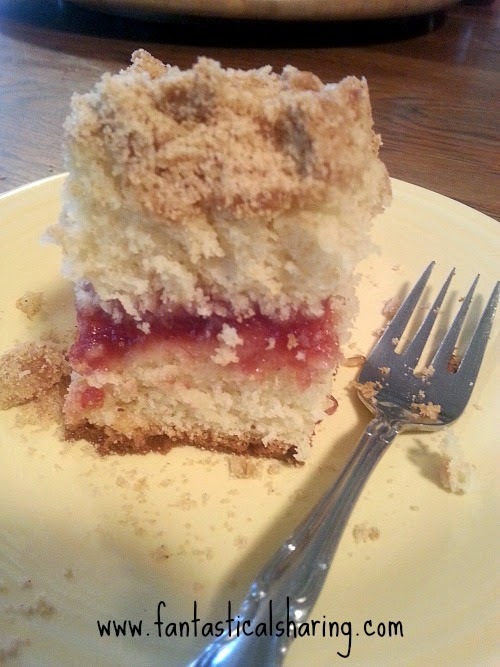 As you could tell by my blog post title - I went the coffeecake route! I wasn't sure I could find fresh cranberries for the cinnamon rolls - I hadn't seen any in my local Kroger in a while. 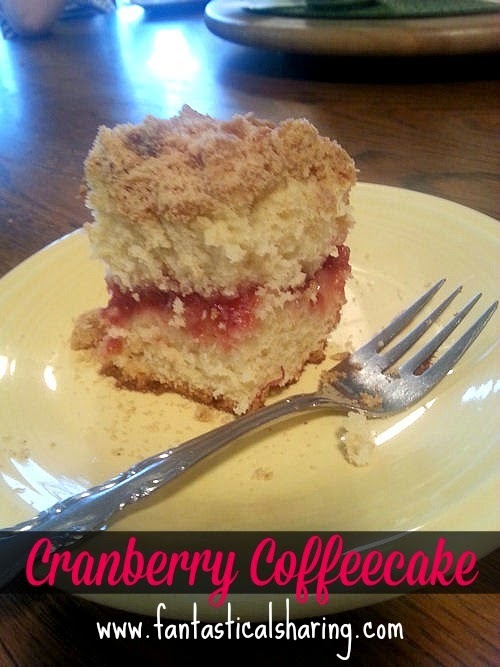 The coffeecake used canned cranberries (the whole cranberry sauce kind, not the awful jellied kind) and that's much easier to find. I only changed out one ingredient - the orange for a lemon - because I didn't know if Matthew would eat it or not and he's allergic to oranges. I loved this coffeecake. It was perfect. I rarely get recipes to look close to the original recipe, but my cake looked exactly like Lauren's picture. I made this as a surprise for Sunday dinner at my in law's - Nick had already taken Matt & Cami over, so I was trying to manage holding Mason and making this coffeecake, so I used my phone camera instead of my Canon. Pictures aren't the best, but the coffeecake IS the best!! 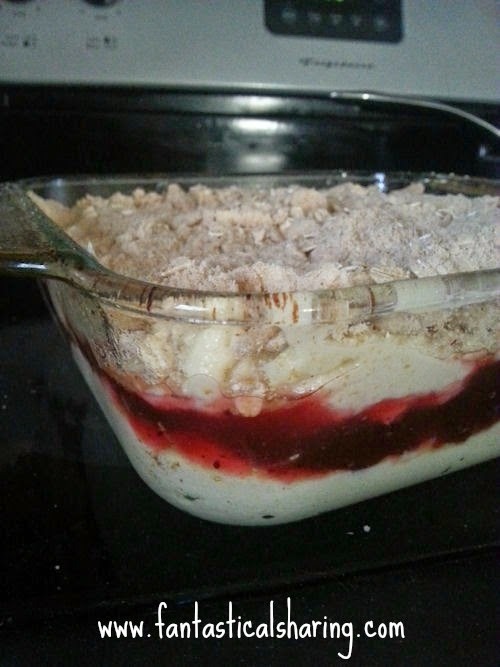 For the topping: mix dry ingredients together. Then cut in butter. Use your fingers to combine a little more. Set aside. For the cake: in a large bowl, mix together flour, baking powder, baking soda, and salt. In a stand mixer, beat butter and sugar for 2 to 3 minutes. Add eggs one at a time. Then add vanilla. Take 1/3 of your dry ingredients and mix into the wet ingredients. Then add 1/2 cup of sour cream to the mixer. 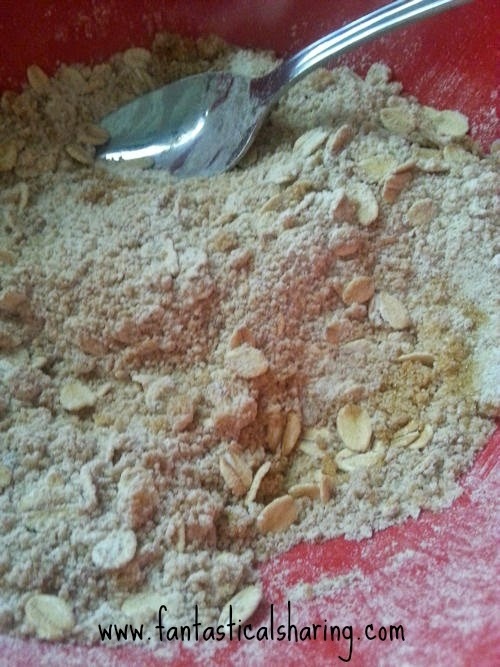 Add half of the remaining dry ingredients and mix. Then add the rest of your sour cream and mix. Then add the last bit of dry ingredients. In a 8-inch square pan that has been greased, smooth half the batter evenly into the pan. Top with your cranberry sauce - carefully smooth it out. Add the remaining batter in dollops and smooth out. Add crumb topping. Bake at 350* for 65 minutes or until done. Cool before slicing!